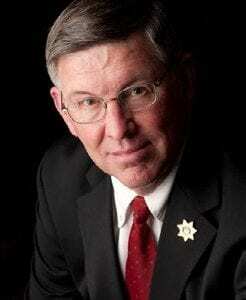 Sheriff Don Smith Sheriff Don Smith, a staunch Republican, and Democratic U.S. Senator Charles Schumer have called on President Trump to reinstate proposed cuts to the Office of National Drug Control Policy – the agency that oversees the High I… Please login below or purchase a subscription to the Putnam County Courier to access this content. 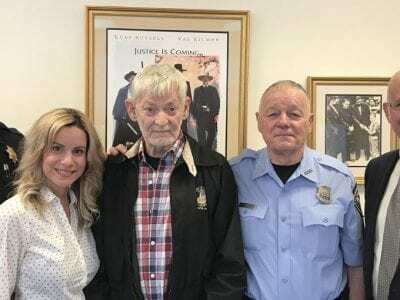 Two officials representing constituents in the greater Carmel-Mahopac area have been ousted by the town’s Republican Committee and now must wage primary fights to keep their seats. The Carmel GOP last week caucused in Mahopac and endorsed incu… Please login below or purchase a subscription to the Putnam County Courier to access this content. A popular Mahopac businessman was killed Wednesday in a violent single car crash on the Taconic State Parkway in Briarcliff Manor. State Police identified the victim as Jason Shenkman, 32, of Mohegan Lake. Troop K Public Information Officer Trooper … Please login below or purchase a subscription to the Putnam County Courier to access this content. With mom and dad, along with big brother and her coaches present, Brooke Pagan signs her letter of intent making history in Putnam County. History was made at Brewster High School last Friday when Brooke Pagan, an exceptional student athlete, became … Please login below or purchase a subscription to the Putnam County Courier to access this content. Flowers are presented to Sara Leng of Garrison by her two children—Tristan, 8 and six year old Evan. Below: Inside the Big Buddha Hall, prayers are recited. 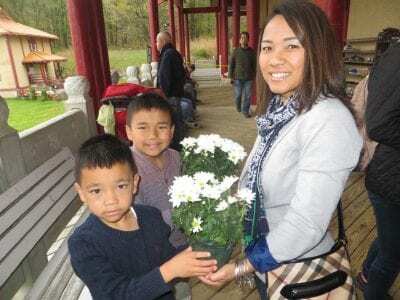 Mother’s Day was celebrated in special fashion at the Chuang Yen Monastery in Ken… Please login below or purchase a subscription to the Putnam County Courier to access this content. Please join the Kent Historical Society for its next meeting, at May 21, 2 P.M., Town of Kent Town Hall, 25 Sybil’s Crossing, Kent Lakes. For more information: 845 225-9459, or email kenthistoricalsociety@gmail.com, or see us on Facebook. The topic … Please login below or purchase a subscription to the Putnam County Courier to access this content. Do you know the value of email marketing? Learn the best practices for email marketing, including what to say and how to say it. Use words and images to craft your email messages. Presented by CJ Design & Consulting, a certified Constant Contact… Please login below or purchase a subscription to the Putnam County Courier to access this content. 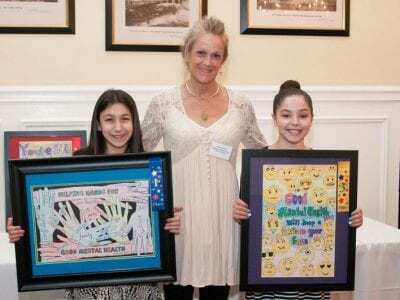 Giuliana Bartholdi and Jessie Pellegrino are congratulated by their health teacher Ann Tuite at the breakfast. “Everyone can be an ambassador for good mental health.” Those were the words of Megan Castellano, executive director of the Men… Please login below or purchase a subscription to the Putnam County Courier to access this content. DO NOT CALL 206-823- 3351! That’s the message from law enforcement officials in the wake of an apparent IRS scam being perpetuated on Putnam residents. Authorities reported six queries being received in the past few days from local residents s… Please login below or purchase a subscription to the Putnam County Courier to access this content.